Don't throw away those tokens just yet--most TTC riders will not be using an electronic fare card for some time yet. A new status report due to be presented to the Metrolinx board later this week says Presto, the division of the transit agency responsible for rolling out Ontario's contactless smartcard system, still doesn't know when readers will be fully installed on the subway, streetcar, and bus systems. The document says next generation Presto readers will only be fitted to new streetcars as they enter service, starting with the 510 Spadina in August this year. The 511 Bathurst, 506 Dundas, and 509 Harbourfront routes are due to follow in what's being called the first wave of installations. 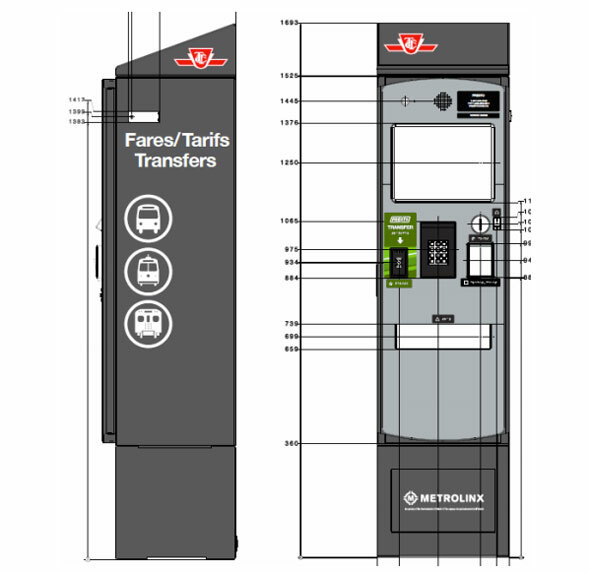 According to the most recent available rollout schedule from the TTC, that means Presto still won't be available on the majority of subway and streetcar routes until at least 2019, more than a decade after the card readers debuted at Union Station. The existing streetcar fleet will not be retrofitted with readers. At time of writing, just 14 subway stations have basic Presto facilities, most of them downtown on Line 1. 12 new stations with streetcar connections are due to be added as the new streetcars appear, as will the remainder of the stations south of Bloor, excluding Wellesley, the document says. Current subway Presto devices sell only single fares, but the next generation readers, due to be installed with the new streetcar devices, will offer senior, student, and child discounts. New subway fare gates that will eventually "replace select turnstiles at select subway locations" are also in the works. The Single Ride Vending Machines will accept Presto, tokens, cash, debit, or credit payments. There will be two on each new streetcar. Wave 2, which will see the rest of the streetcar, subway, and bus routes equipped with Presto, is "ongoing," and there is no fixed schedule for it to begin.